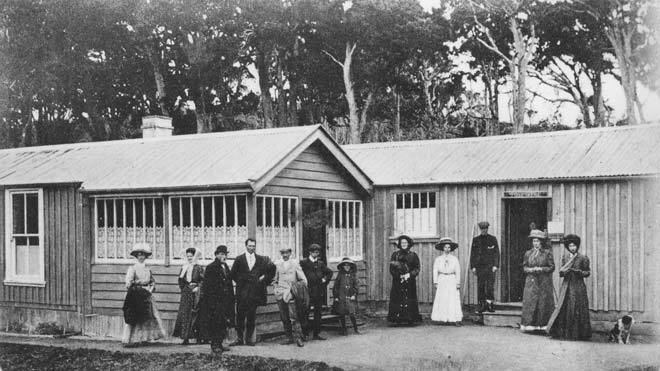 The post office on Ulva Island opened in 1872. These visitors were photographed outside it, probably around 1910. The post office closed at the end of January 1923.